The Dodge Challenger with the supercharged Hellcat V8 engine will produce 707 horsepower and 650 foot-pounds of torque. Chrysler Group is taking muscle cars to steroid-crazed levels with its new V8 engine. The Dodge Challenger SRT with the optional Hellcat engine, available starting in the fall, will put out a total of 707 horsepower. This will be "the most powerful muscle car ever," according to Chrysler. 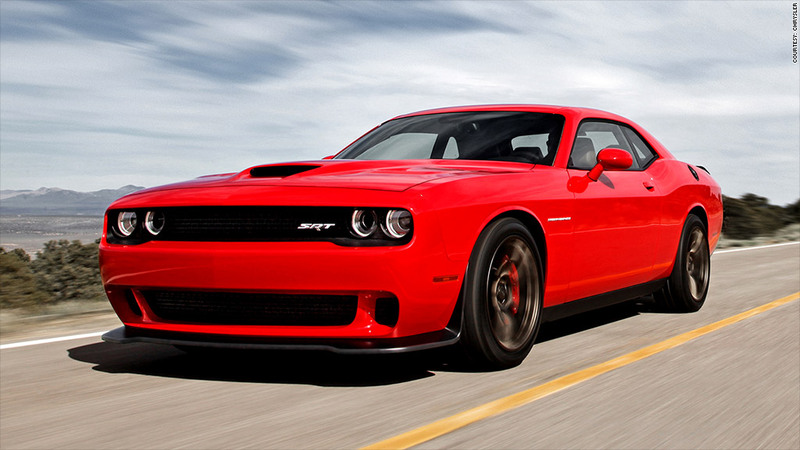 The Challenger SRT Hellcat will have an eight speed automatic transmission or a six-speed manual. It will be competing against cars like General Motors (GM)' Chevrolet Camaro ZL1 with its 580 horsepower V8 and the 662 horsepower Ford (F) Shelby GT500 which recently went out of production. A Ford spokesman wouldn't comment on its competitors car, but a new Shelby GT500 with, potentially, more power is expected to be revealed some time soon. A General Motors spokesman indicated that that automaker has no plans to try to approach the Hellcat's horsepower output, at least in a Camaro. GM has already unveiled a version of the Corvette two-seat sports car, the Z06, with a 650 horsepower engine. Because owners might not want to trust just anyone with 707 horsepower, the SRT Hellcat will come with two key separate "keyless ignition" key fobs to start the car. A red key fob will enable the driver to use the Hellcat's full power potential while drivers given the black key fob will only be able to unleash up to 500 horsepower. Even with the black key, the Hellcat will still have more power than the next most powerful Challenger model which will have a 485 horsepower engine. 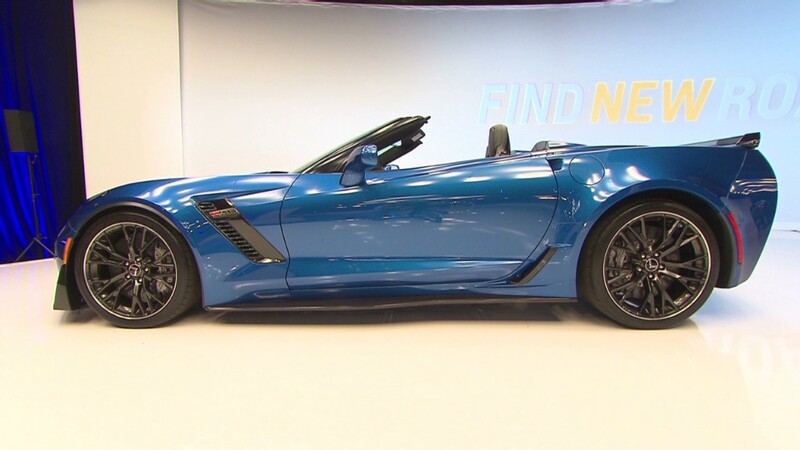 "I thought we'd reached the point of ridiculous horsepower numbers when the Corvette ZR1 hit in 2009 with 638 horsepower," said Karl Brauer, a senior director at the automotive Web site KBB.com. 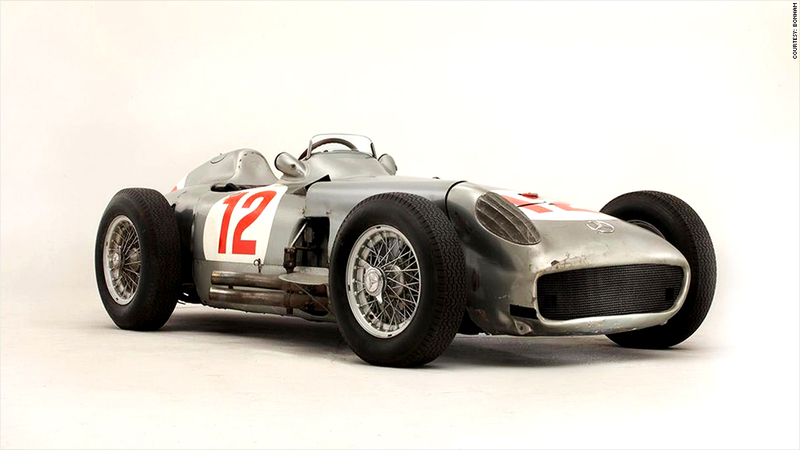 "Clearly I was off, as the horsepower wars appear to have only just begun." Chrysler's "most powerful ever" claim applies only to factory production muscle cars, not to cars that have been modified for added performance. Chrysler Group has not yet released price and fuel economy figures for the car.